Many real estate investors still dream of owning that mountain home or beachfront villa in their ideal vacation destination. Vacation Homes are typically not considered by most investors as a traditional real estate investment. The common refrain from investors is that you can’t make a vacation rental home investment property pay for itself. The thought is that renting out your second home for a few weeks a year can help defray your expenses, certainly , but the bigger question is can you have your vacation rental home earn a profit like a traditional investment property would. 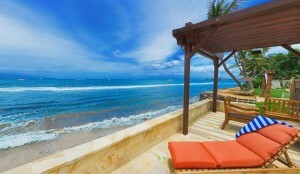 The trick is to consider, package and promote your vacation rental home as a business rather than just a vacation home. Most vacation homes can generate positive cash flow, paying for themselves even before the potential tax benefits and appreciation are taken into account. Keep in mind you can write off mortgage interest and property taxes on a second home even if you don’t rent it out; if you do, you typically can deduct a portion of your other costs, such as utilities and maintenance. Remember they key to a profitable vacation rental investment property is buying at the right price. Any savvy real estate investor always keeps in mind their exit strategy when they are making and acquisition. So if you own a vacation home or are consider buying one you want to maximize value by treating it as an investment property business. Vacation Rental Home Buyers & Sellers get a FREE customized website for your property Call 312.433.9300 x 20 For Details. If you you are an existing vacation home property owner and need a dedicated vacation website site contact us for affordable options. You will have a big advantage promoting your vacation property with a great rental history and complete website that is included. This way you’re selling an established business rather than just another property. In the short run while you are managing your vacation rental home you need to achieve a break-even cash flow (on a year-to-year basis), coupled with a maximum tax shelter on other earned income. Break even cash flow is achieved when all of the rental income from your vacation home is enough to pay all of the expenses associated with ownership of the property. To do this you will need to take an active roll in managing, furnishing, maintaining and promoting your property. If you’re considering buying and renting out a second home, you need to be ready to do the research. You’ll need to have solid estimates of how many weeks the property is likely to be rented and all your monthly costs including, but not limited to, mortgage, insurance, property and sales taxes, promotional costs, maintenance, repairs and cleaning. You will need to talk with a number of real estate brokers, property managers and other property owners in the area about their experience with rentals so you can more accurately gauge the demand and income potential. The reality is the economics of owning your dream vacation home are a lot harder if you don’t rent it, so you can make your dream home reality much quicker with the mind set of treating it as an investment property business from the onset. BuyersUtopia will soon be adding a Vacation Rental Property Network to help assimilate market data, and more accurately gauge the demand and income potential in many vacation markets. If you are considering becoming a vacation rental investment property owner rent a number of properties in advance if buying one. Check back soon as we update out Vacation Rental Property offerings.